Little Owl is a cottage located in High Cross, Hampshire. It has the traditional brick, flint and thatched roof exterior, all the while presenting a modern feel inside the property. They have a living room with a wood burning stove, a dining area with French windows leading out to the garden and a fitted kitchen. There is an extra shower room located downstairs. It has two king-size bedrooms and one twin bedroom and a separate family bathroom. Outside the property you will find a landscaped garden surrounding the cottage, with a thatched summerhouse and croquet set. Garden furniture is provided, as well as off street parking. Little Owl is the ideal location for friends and families. Amenities: Central heating with wood burning stove. Electric oven and hob, microwave, fridge, washing machine, tumble dryer, dishwasher, TV with Freesat, DVD, WiFi. Fuel and power inc. in rent. Bed linen and towels inc. in rent. Off road parking for 2 cars. Enclosed lawned garden with summerhouse, croquet set and garden room with a sitting area and a selection of toys and games. Two well-behaved pets welcome. Sorry, no smoking. Shop 4 mins walk, pub 1.5 miles. 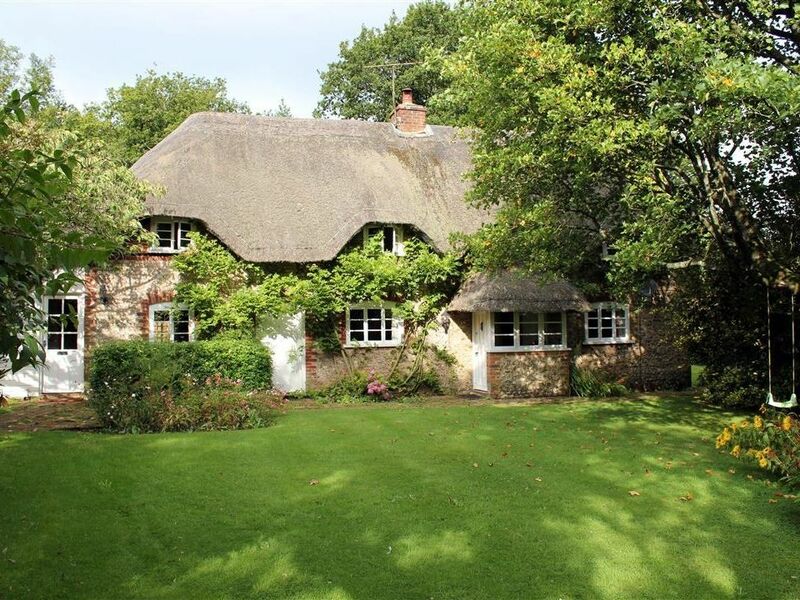 Town: This cottage is located in the peaceful village of High Cross, Hampshire. It has easy access to places such as South Downs which has been titled a National Park and An Area of Outstanding Natural Beauty. The Meon and Itchen Valleys offer excellent walking and cycling opportunities and the market town of Petersfield has local stores, pubs and restaurants which is just three miles from the property. Three bedrooms: 2 x king-size double, 1 x twin. Bathroom with roll top bath, shower attachment, basin and WC (accessed via stairs from hallway that lead to a half-landing). Ground floor shower room with shower, basin and WC. Kitchen. Dining room. Sitting room with wood burning stove. Central heating with wood burning stove. Electric oven and hob, microwave, fridge, washing machine, tumble dryer, dishwasher, TV with Freesat, DVD, WiFi. Fuel and power inc. in rent. Bed linen and towels inc. in rent. Off road parking for 2 cars. Enclosed lawned garden with summerhouse, croquet set and garden room with a sitting area and a selection of toys and games. Two well-behaved pets welcome. Sorry, no smoking. Shop 4 mins walk, pub 1.5 miles.